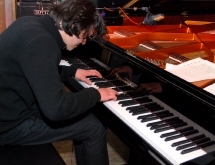 Ten years ago, when Harry Sokal performed Wolfert Brederode´s composition Trinity (which is now the first track on their joint CD Stories,TCB Records 01252) the young Dutch pianist was so inspired that both musicians expressed the desire to develop a longterm collaboration, which went beyond the initial series of projects they undertook together. 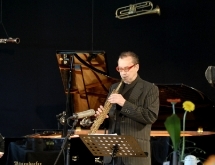 At the turn of the millennium, after Sokal had participated in several international concert tours with the Wolfert Brederode–Eric Ineke Quintet, the Austrian top talent on the saxophone decided to draw on this source of inspiration to form a new project and the Harry Sokal–Wolfert Brederode Duo was born. Their first appearances as a duo took place at the famous festivals in Feldkirch and Dornbirn (background on the festivals). In the summer of 2009, the two gave their first performance of the Stories program, of which Sokal said: "Communication is everything that you can undertake together. This CD is the expression of sensual interaction with each other." And in fact, Sokal´s poetically expressive saxophone sound mixes here with Brederode´s lyrical piano, which ranges from the dark to the crystal clear. "This CD, and of course our concerts, are impregnated with the feeling that we are spending time together telling stories," Sokal explains. And so this project comes across as a multicolored picture book and, in addition, as an invitation to join them in their travels down the paths of many dreams. Harry Sokal, who recently scored a Europe-wide success with his project Depart (ACT Music, with Heiri Känzig and Jojo Mayer), is one of Europe´s most important post-Coltrane saxophonists. The list of musicians whom he has accompanied or who have accompanied him reads like a Who´s Who of modern jazz history. One of the long-standing members of the Vienna Art Orchestra, he also played with the legendary Art Farmer Quintet from 1979-99. In addition, he has performed with Art Blakey, Dave Holland, Wynton Marsalis, Terje Ryptal, Joe Zawinul and Harry Pepl, among others. 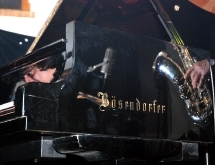 In 2005 he received the Hans Koller Preis for Musician of the Year. 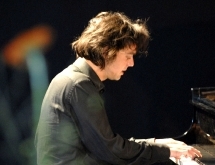 Wolfert Brederode, Wolfert (1974) is being considered as a unique talent in the jazz scene today for his highly individual and poetic approach. 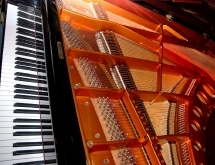 Dutch newspaper Het Parool wrote “In his playing he displays the elusiveness of an improviser and the virtuosity and accuracy of a concert pianist […] The sounds flow from the piano like water”. Ensembles he currently works with are the Wolfert Brederode Quartet, Key Figures, Lijbaart/Brederode and Susanne Abbuehl. He recorded ao for ECM, Jazz in Motion and Rat Records. 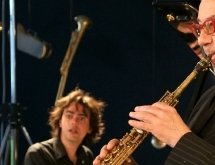 Furthermore he has worked ao with Jeanne Lee, David Liebman, Arve Henriksen, Michel Portal and Tore Brunborg.